Notes:This station was a short-lived southern terminus of the Durham Junction Railway which provided a ‘railhead’ for passengers travelling by train from Gateshead, South Shields and Wearmouth to transfer to horse-drawn road vehicles for the onward journey to Durham (about 5 miles south-west of Rainton Meadows). Quick (2009) notes that the service has not been found in Bradshaw, although it was in Robinson’s Railway Guide (certainly in August and October 1841) and it was included in the Brandling Junction table. Logically it would have closed in 1844 when the line to Durham (Gilesgate) opened. The station was shown on a 2½-inch to the mile coalfield map by JTW Bell in 1843 at the grid reference shown above, served by a track which joined West Rainton’s road system at NZ319478. Before the first OS map of the area was produced both the station and access track had gone. However a siding continued in use on the alignment of the original line and in the mid twentieth century it appears that the siding was used for dumping spoil in the locality of the station; the land has since been reclaimed. 1861 1:10.560 OS map. Rainton Meadows was the southern terminus of the Durham Junction Railway from 1840 until 1844, and the earliest large scale OS map found for the area is this one published in 1861. Based on information from an 1843 coalfield map the site is reckoned to be at, or close to, Meadows Pit. The route of the DJR corresponds to the North Eastern Railway line running almost north-south across the landscape. Given the temporary nature of the station it might have lacked a platform, and any buildings that it possessed might have been erased in the course of mining developments shown in the vicinity Click here to see a larger version. 1895 1:2.500 OS map. The Rainton Meadows area has become even more industrialised with saw mills and several coke ovens in addition to the coal pit. For most of the twentieth century the landscape remained ravaged by industry, eventually being torn up by the excavation of the Rye Hill opencast coal mine. 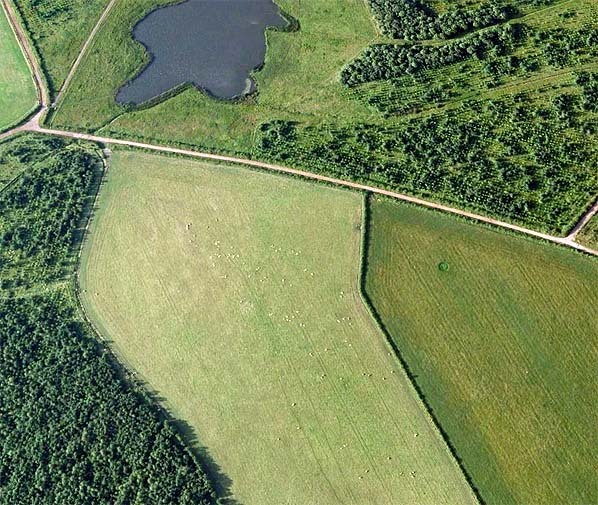 In the 1990s the area was reclaimed and an entirely new landscape created with woodland, grassland and ponds. 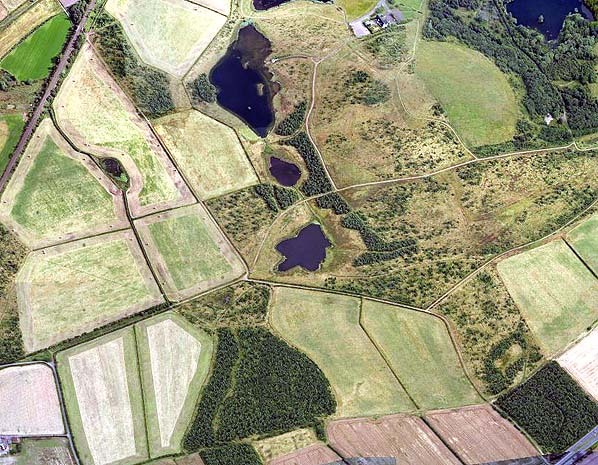 Rainton Meadows is now the headquarters of the Durham Wildlife Trust. woodland, in the bottom centre of the photo.